Google Container Engine is a powerful cluster manager and orchestration system for running your Docker containers. Container Engine schedules your containers into the cluster and manages them automatically based on requirements you define (such as CPU and memory). It's built on the open source Kubernetes system, giving you the flexibility to take advantage of on-premises, hybrid, or public cloud infrastructure. Set up a managed container cluster of virtual machines, ready for deployment in just minutes. 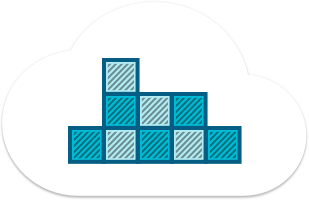 Your cluster isequipped with capabilities, such as logging and container health checking, to make application management easier. 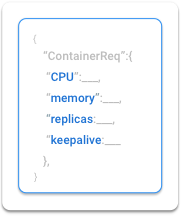 Declare your containers' requirements, such as the amount of CPU/memory to reserve, number of replicas, and keepalive policy, in a simple JSON config file. 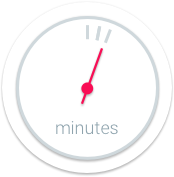 Container Engine will schedule your containers as declared, and actively manage your application to ensure requirements are met. With Red Hat, Microsoft, IBM, Mirantis OpenStack, and VMware (and the list keeps growing) working to integrate Kubernetes into their platforms, you'll be able to move workloads, or take advantage of multiple cloud providers, more easily.